Business travellers rated the cities based on business activity, infrastructure, and leisure experiences. 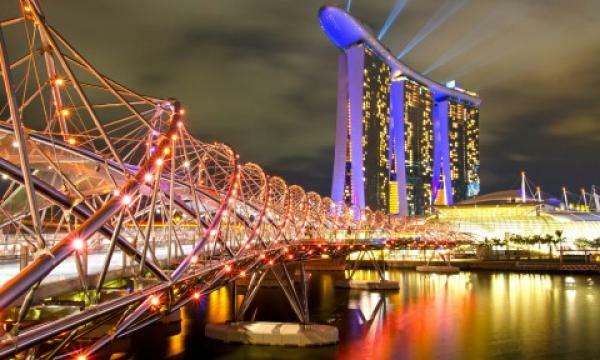 Singapore trailed after Tokyo as Asia’s best city for business and leisure (dubbed as "bleisure") appeal for travelers, according to The Economist Intelligence Unit of The Economist. The respondents, consisting of 1,500 business travellers from around the world, rated Singapore with five stars. The rankings were based on a destination’s right balance of business activity, high-quality infrastructure, and top-flight leisure experiences. Aside from Singapore and Tokyo, other five-star rated countries include Sydney, Hong Kong, and Melbourne. The study also assessed specific aspects of the bleisure experience, such as what makes for a successful business trip and what travellers look for in their leisurely diversions. Ease of transportation makes for a successful business trip, followed closely by safety and orderliness of streets/urban areas and quality of business facilities. On the question of leisure activities, dining out won by a large margin, with visiting local historical or heritage sites and going to an art museum/gallery ranking second and third. Furthermore, the report clarified that the best cities for bleisure are not necessarily its most liveable. Wealthy cities such as Auckland, New Zealand, and Adelaide, Australia, sit atop the league tables for liveability, but underperform on bleisure.